This month's host is Heather Richards of Traveling Vanilla Bean, which is where you can read all of this month's entries. Prompt: What are the benefits of slow travel? I was reminded just a few weeks ago that not all are familiar with the term "slow travel". 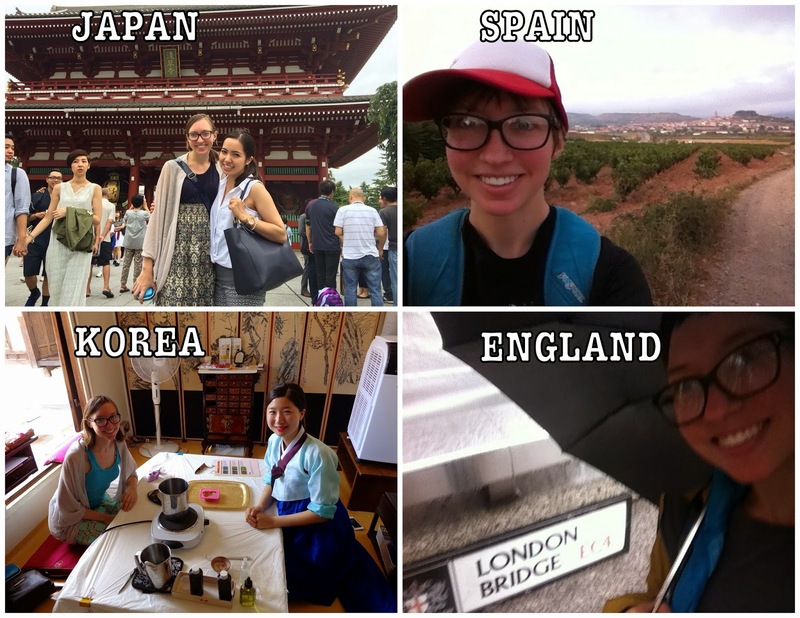 I've spent time in four different countries over the past three months, which has felt like a whirlwind for me. So forgive me for the vague details, but someone (can't remember who), somewhere (no idea where I was at the time), asked me what slow travel was when it came up in conversation (obviously no clue what we had been talking about). I gave the best answer I could on the spot, and I'll try again now - with a little more time to make it coherent. I feel as though this definition could differ person-to-person, so know that you're getting one take of the general idea. Most Americans only have the standard two weeks of vacation per year, so if they're traveling somewhere it's going to be a quick trip (by my book). I understand that with that time limit, people want to cram as much as they can into their small slot of time. But I prefer slow travel, which is different and just what it sounds like: spending more time in a place than the average tourist. How much time, exactly? Well, during the second half of October I spent two weeks in London (my first time there!) visiting my dear friends. And I'd call it slow travel. This past January over my winter break I spent 10 days in Bangkok, which I'd also consider slow travel. But my quick 5 days in Tokyo back in September left me feeling unusual - definitely yearning for more time to understand the Japanese culture. So is that the requirement, 10 days? More than five? Well, no, not for me. I don't want to get too nitty gritty with time, because that's not the only element that defines slow travel. When you travel slowly, you tend to not make many plans. Hitting all of the major tourist attractions is not high on your list of priorities, though it's certainly all right to go see some. But rather, you want to really get a feel for a place, soak it into your bones. And not the touristy version of a place - the real thing. You want to know what it'd be like to live there, a local's perspective. Some slow travelers get involved in local volunteer work for that very view (among other motives, of course). It's no secret that I've lived in Spain for a combined total of two years, and South Korea for one - but I don't consider that slow travel. I call that being an expat. I'd think many expats must enjoy traveling slowly though, because you reap many of the same benefits doing either. Slow travel could perhaps be almost a slice of expat life. Or maybe expat life is an extension of slow travel. Either way, both involve a similar mindset and bring similar perks. For me there are two huge benefits of slow travel, and then several smaller perks that are natural by-products. First of all, there's way less stress and rush when you travel slowly. If you get lost, miss a bus, get sick, etc. it won't make or break your trip. There's time to ask for directions, wait for the next bus, or stay in bed until you recoup, etc. But when you have a huge list of places to see, or pre-planned transportation/tours, there's no room for - well, anything! No room for unforeseen circumstances, getting lost, bad weather - basically any unplanned situation. So the flexibility of slow travel definitely minimizes stress. The most stress I feel when traveling somewhere new definitely comes during the time traveling from A to B, getting to the destination. 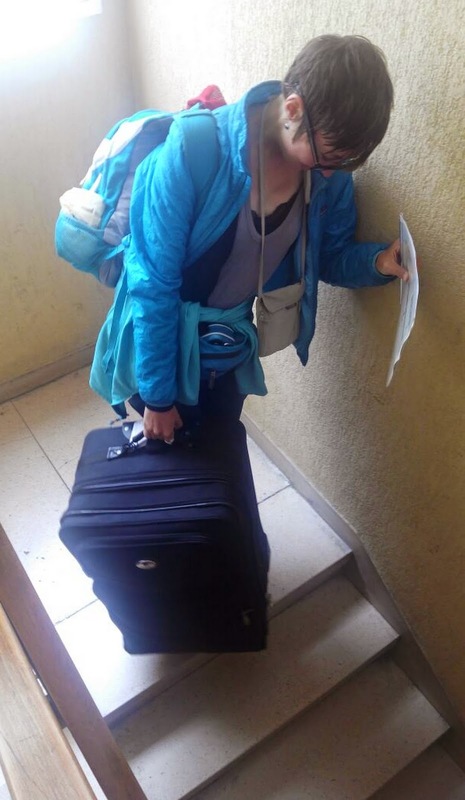 Until I'm checked into that hostel, there's some unease about me when going to a new country/city. Even though I'm way more relaxed with travel (read: unplanned/unprepared) than I ever would have been five years ago, and know that everything will always work out, I still have that bit of tension while en route. So by traveling to only one new place instead of five in the same amount of time, I've just reduced my stress a boatload! And when you stay in a place longer than usual (whatever "usual" means), you get more used to your surroundings. You become familiar with the transportation system and currency, perhaps you even come to recognize faces of people in nearby shops. This converts to a welcome, comfortable feeling for me, as the foreign surroundings become less foreign and more recognizable over time. Traveling slowly is more fulfilling and enriching than being a typical tourist because you get an insider's view, a better feel for a place. There's time to connect with locals and have a deeper, more authentic experience with the culture and location. 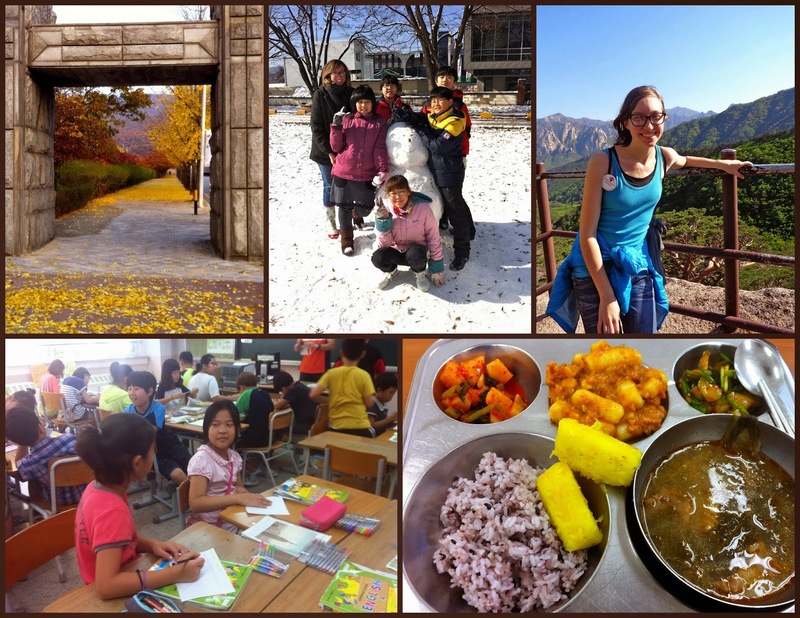 You'll eat at restaurants without English menus, use the same public transportation as commuters, make relationships with locals, and be both aware and respectful of cultural norms. I've found slow travel to be a completely different experience from regular traveling. I learn a ton more and it feels so worthwhile and rewarding. Save money - It must be more economical to have just one destination instead of multiple. You're only dealing with a single currency, you can cook and save leftovers, you're not flying or training all over, you can rent an apartment for weeks at a time instead of nightly hotels/hostels, plus you won't fall into tourist trap bad deals. Surprises - With fewer plans, there's much more room to stumble upon something awesome. And when it happens, you'll be able to enjoy that delightful surprise and adjust accordingly, instead of rushing on to your next itinerary item. Wander walking - One of my favorite travel activities is what I like to call wander walking. With no destination in mind, you simply walk around, wandering, observing, and see what surprises come your way. Slow travel allows for plenty of wander walks, which I love. I'll end with a quick look at my recent two weeks in London (only because it's the freshest in my mind) to see these major points in action. Firstly, since I was taking it slow, I could stay in and work on some of the rainy days, so that I would be free to go out and explore when there was sun. If I'd only given myself a few days in London, that obviously wouldn't have been the case. But I had no rush to see x, y, and z, so now I have plenty to look forward to on my return visits. I shopped in the local grocery stores and did lots of home cooking (saved money!). I really got the feel for the cool neighborhood in which I stayed - Brixton - and felt comfortable in my home base. 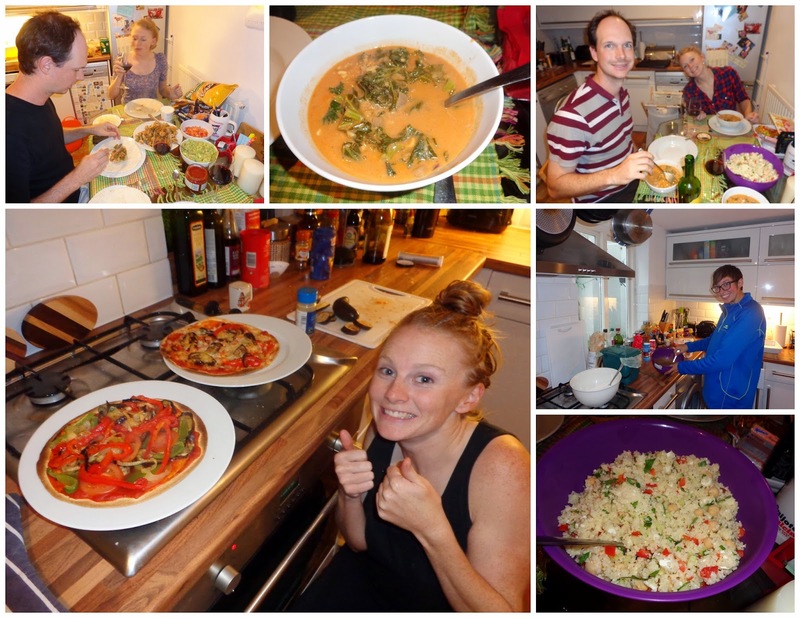 By the end of the two weeks, I was sharing bits of Brixton knowledge with my hosts! ("There's a brand new bakery section in the TESCO!," "The Japanese restaurant is actually closed on Mondays," and "That post office is just for package pick-ups, but the one across the street is where you can buy stamps," etc). 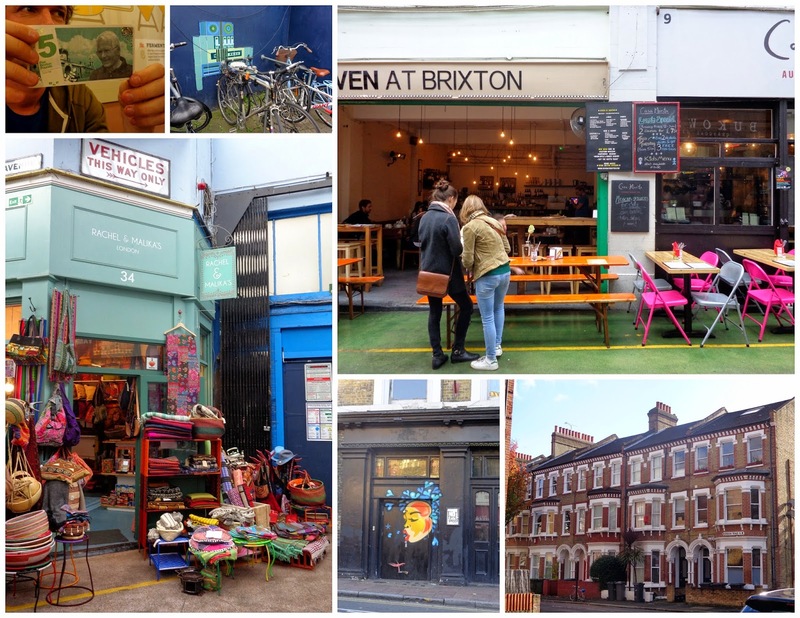 Thanks to slow travel and hanging out with people who live there, I learned about Brixton pounds (and the other local currencies within London's districts). Brixton pounds (pictured above, top left) are worth the same as British pounds, but can only be spent within local Brixton establishments. I got to go to a "fall gathering" in a local lawyer's amazing apartment, meeting many Londoners (while feeling young and un-professional in comparison to the other attendees at the same time!). I also trained at my friends' weekly indoor ultimate frisbee practice twice over the course of my stay, yet another example of living like a local. A wander walk one afternoon randomly resulted in me walking past a special changing of the guards at some horse stable place, which only takes place once a day at 4pm. It was a welcome surprise that I happened to end up right there exactly at 4pm, when I had no idea of the current time or of the guard changing event. It was neat to watch. I could go on and on, as almost everything I did or that happened could be traced back to slow travel ideas. Slow travel is a huge part of my life philosophy at the moment, and I only see it growing from here. What about you? Have you ever traveled slowly, or even heard the term before? How does your definition compare to mine? What other benefits have you gained from slow travel? Slow travel is about recognizing that there's more to a country than its famous sights. Ironically, the more famous sights you see the less variety of a country you get to experience. Given that you'll spend most of your time at places that cater specifically to tourists, you'll only be exposed to a very limited, and sanitized, spectrum of the country. Not to mention that it'll be almost exactly the same experience every other mainstream tourist will have. I couldn't have said it better myself - you're so right!